CUSTOM 6200 sq.ft ALL Brick entertainers dream! 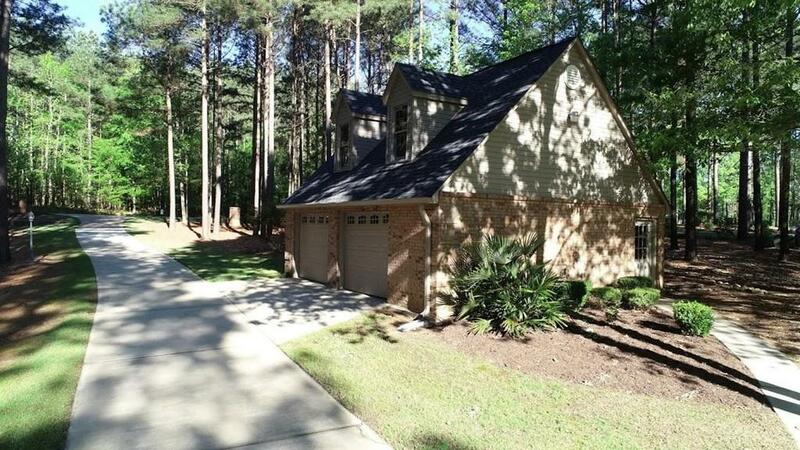 This home features 3 car attached high loft garage space along with 2 car detached garage with loft. 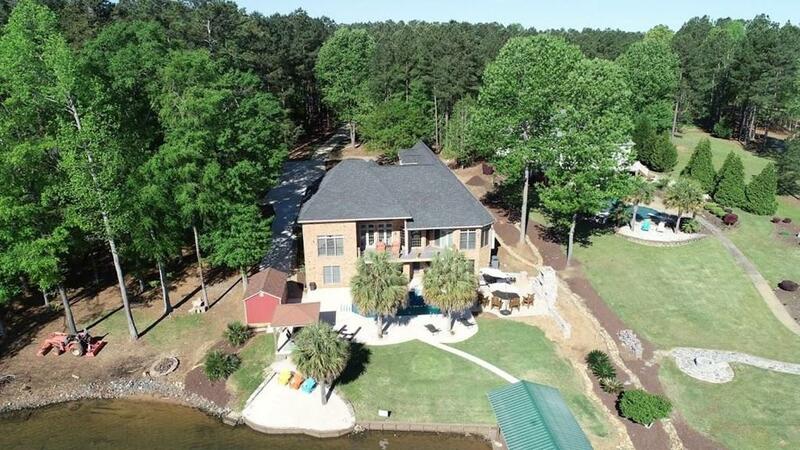 This spectacular home features Brick outdoor fireplace stone paver area, pool, pool house/shed, located 55'off water! There are 3 deep water covered slips with 3500# and 6500# lifts with seawall with year round water on far docks. 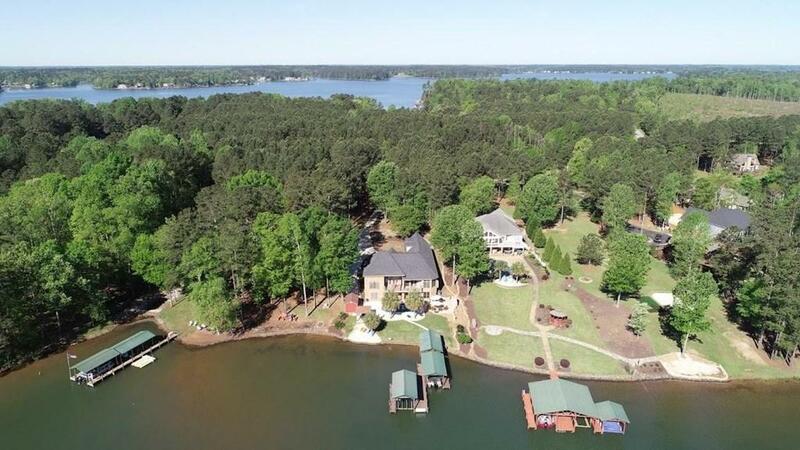 There are hardwoods thru main areas and views to lake from virtually every room! 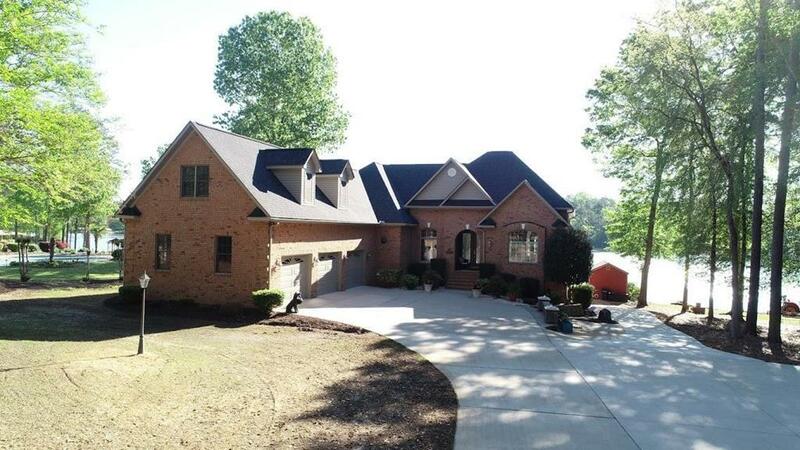 The home features 6 Bedrooms, and 4.5 baths. The master bedroom along with 2 other large bedrooms are located on the main level. There is a 1000 Sq. Ft. Bonus area above garage that adds a 7th bedroom/office area with a 6 seat movie room! Home has upgraded electrical system of Conduit and Cooper pipes that is NOT todays standard! Recent upgrades in last 6 years include New Roof Shingles, New Garage doors and lifts, Pool Pump, Septic Pump, Heat/Air system to Natural gas from electric heat pump, Mini split unit for bonus room. BRAND NEW additions include TREX 10x32 Deck with wire rail system, Pool Shed, FirePlace/Patio area, New Sod. New Pool Liner on Order. Furnishings, Outdoor Lawn Equip,, Outdoor Furnishings can be purchased/negotiated with terms of purchase!